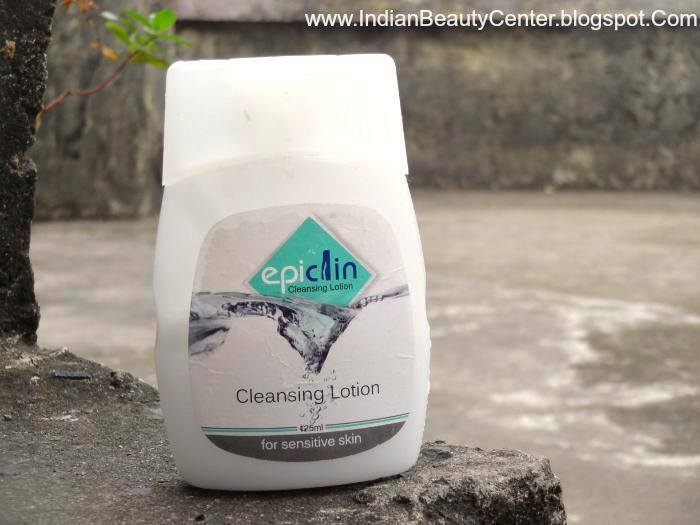 Product Description : Epiclin Lotion -Epidermis cleanser -Non foamy, No soap, Fragrance free, Color free, -Gentle cleanser fro dry sensitive skin Composition: Cetyl alchohol – 2.65% Steryl alchohol – 0.26% Ideal for baby’s skin too. It comes in an outer cardboard box, which I have lost. The bottle is plain-simple looking, but is travel friendly as the cap shuts tight. I wish the packaging was more attractive. But if a product works for me, I would not care about the packaging. Good things often come in a simple packaging. It is color free, that is, it has a translucent white color. It does not have any fragrance, which is great for people with sensitive skin. 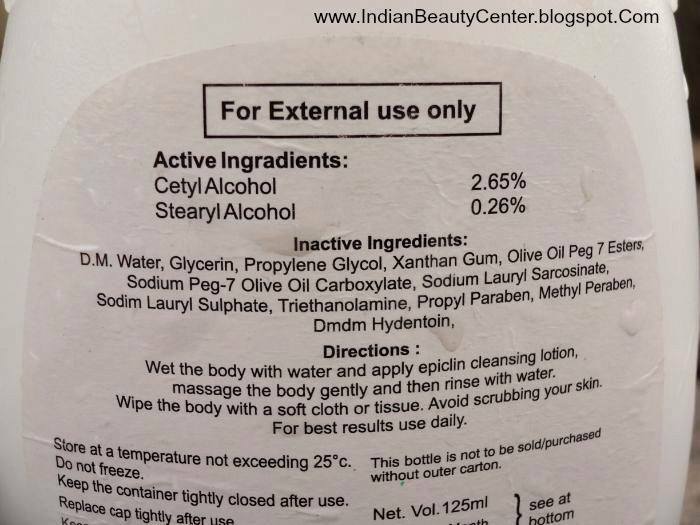 But, it contains parabens and sodium lauryl suplhate that can cause acne. However, this never broke me out. It cleanses the skin nicely. 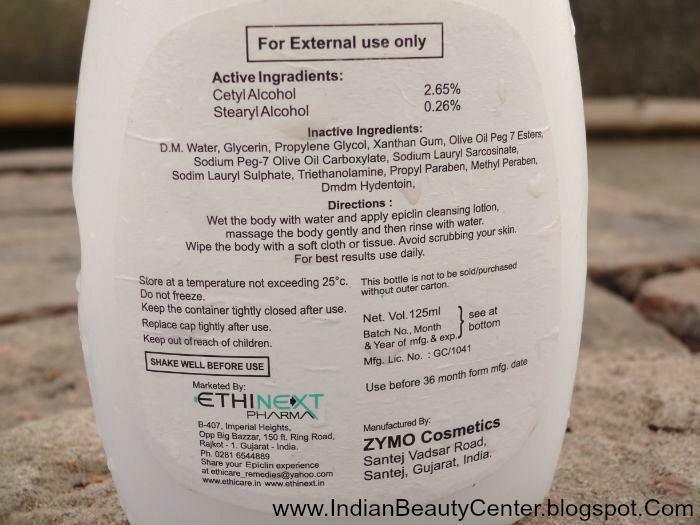 I mainly used it during winters when my skin felt the need for moisturizing cleansing lotions. This does not lather or foam at all. Just cleanses the skin and it's job is done. In the cleansing process, it removes very mild makeup also. 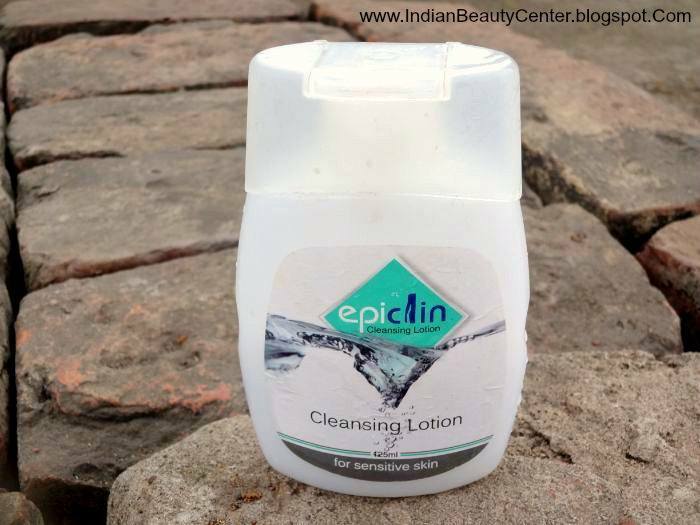 But, I do not get the freshness of foaming cleansers when I use Epiclin cleansing lotion. Final verdict : You would want to get it because you're looking for moisturizing cleansing lotions that won't damage your skin. It never broke my sensitive skin out and cleanses well. You can try it if you do not want to go for harsh foaming cleansers or drying face washes. This is easily available online.